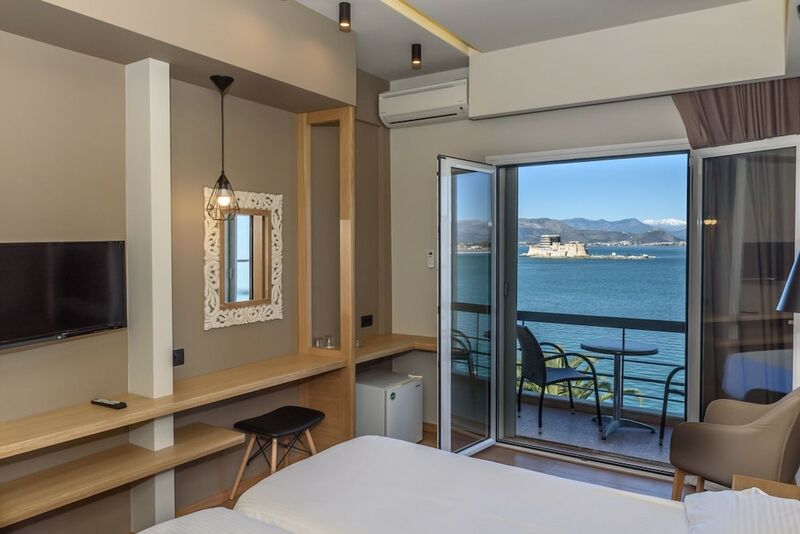 With a stay at Hotel Agamemnon in Nafplio, you'll be just steps from Nauplion Promenade and Mpoyrtzi. This hotel is 0.1 mi (0.2 km) from Archaeological Museum of Nafplio and 0.1 mi (0.2 km) from Constitution Square. Make yourself at home in one of the 40 air-conditioned rooms featuring refrigerators and LED televisions. Rooms have private balconies. Complimentary wireless Internet access keeps you connected, and satellite programming is available for your entertainment. Bathrooms have shower/tub combinations and hair dryers. Make use of convenient amenities such as complimentary wireless Internet access, a hair salon, and shopping on site.